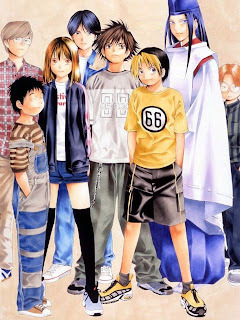 The current state of #ESPORT is exactly how go was describe in Hikaru no Go, one of the most successful manga/anime of the Death Note's author. There are the "foreginer" which are korean in this case since #esport or #starcraft was developed in Korea first, as Go was originally played in China compare to Korea. These players are young with exceptionally talented and blessed with a completely different point of view about the game (Go) compare to the Japanese. This is the same as in starcraft2, KR ladder is much more aggressive with the moto:"Play to win" unlike US or EU point of view: " non-macro games are not real games". These 2 are acting as the same roll? The bridge between the 2 generation? Hikaru no GO is a manga about the mental state of Japanese Go players. The story is focused on Hikaru Shindou who completely new to GO got possessed by SAI, an old school go teacher from thousand years ago. They become friend and hikaru eventually go pros using sai's help. Instead of describing the Go games, the author focus on the mental state of each individual player on the Japanese go scene from the inside view as well as how they look at Chinese/Korean Go scene in competitive point of views. The youngster are overwhelming talented but the old school are full of experience and ready to deal with the "new wave". The manga is a good lesson for any starcraft player in general, it will help you understand how #esport will develop from now on to the future when the next generation learn about it. Used to read it (but didn't follow it) since it was part of a weekly magazine. How does it end? Does that little kid ever become pro? It got me to learn how to play Go. It was drawn well but wasn't too captivating. It has a "middle of no where" ending right after the korea vs japan a little bit. I dont like the ending myself but i think an open ending like that make people think about the future when generations are replacing each others which is really meaningful. The main goal of the manga is to achieve "god" which is a "good game" in starcraft term. God can only be achieved by 2 players with perfectly equal skill play a game without mistake and i think open ending make a story like that much more realistic. Just like humanity constantly think how should the original of the Venus' hands should look like while there is no correct answer. Is the first pic from Breakshot! ? a manga about pool? I'm making a note here: HUGE SUCCESS. It's hard to overstate my satisfaction. Haven't read that manga in years... thanks for the nostalgia trip! just one question though: Is Huk the ghost? hikaru no go is awesome! ESPORTS could easily be an anime. Why isn't anyone cashing in on that now? Old, old Manga. I don't even know where I was when I read that. It was so good because it was simple, yet thrilling. Too bad I never understood what I was looking at when I looked at the board. Oh man the nostalgia. How many years had it been since I finished that thing? There needs to be underdog foreigner hero in order for plot to be made. despite, how popular is SC2 scene in Japan? I nominate Liquid'Tyler as the main character. 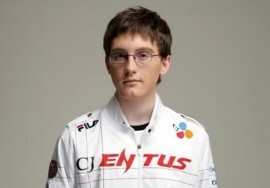 Omg and iNcontrol as the arch-rival, a la Gary Oak! 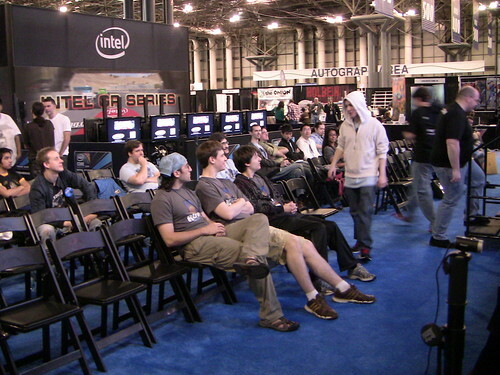 idra as the msyterious champion/best player to which Tyler hopes to one day beat and yet idolizes so passionately! and Thorzain can be his best friend since childhood, taught Tyler everything he knows, etc. etc. True, but there's like two kinds of enemies in most mangas. There's that brute big guy who is like your first enemy for the first series or whatever and then ends up being your friends and the rivalry becomes a friendly competition. And then there's that dark sinister evil person who no one really knows but is rude and is very powerful. ^^^ this man is right, the author of the story is Hotta Yumi, but the illustrator is Obata Takeshi, famous for his work in Death Note. Hikaru No Go is my favorite manga of all time, and i've always kind of thought there were similarities between Starcraft scene (in korea) and the asian Go scene in general. And if we are talking about who is who, Idra would definitely have to be Ochi. That just makes perfect sense to me. As for others... not too sure.